With summer ending and fall upon us, some of my favorite artists are teasing new music, releasing singles ahead of their upcoming albums. 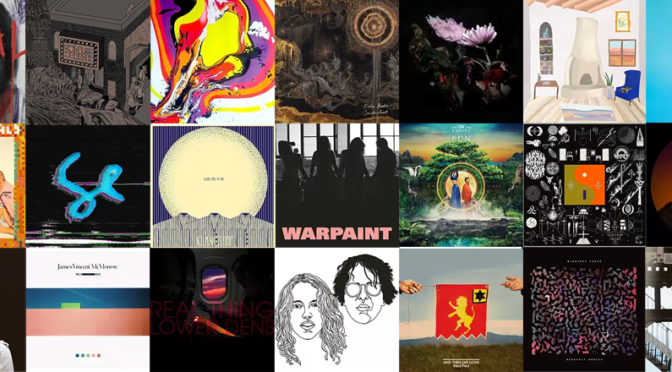 We have singles from Lower Dens, Sylvan Esso, Two Door Cinema Club, Warpaint, Empire of the Sun, Bon Iver and more. And I’ve included songs from the new LPs out from Glass Animals, Blind Pilot, Kishi Bashi, and Angel Olsen, amongst others. We even have new music from Wolf Parade! You can follow me and check out DNAK 93 on Spotify (26 tracks available). You can watch all of the youtube videos in the video playlist (26 tracks available).